Yen gains momentum as Wall Street extends losses. US Dollar losing ground after a 3-day rally, weaker after NFP data. The pair tested earlier weekly highs near 107.40 but failed to break higher. 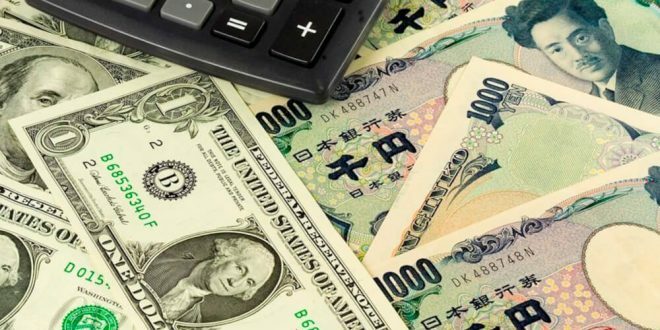 After the release of the NFP, the greenback lost strength and USD/JPY pulled back. It continued to move lower after the beginning of the US session and recently dropped to 106.93. As of writing was trading at 107.00, still looking weak on an intraday basis. The US jobs report showed that the economy added 103K jobs in March, below consensus of 193K. Average hourly earnings came in line with expectations, with a gain of 2.7% from a year ago. Overall, the headline was negative but wages rose as expected. The numbers did not alter the current stance of the jobs market, neither Fed rate hike expectations. Now, the focus turns to Fed Chair Jerome Powell's speech. The yen trimmed losses across the board amid a slide in equity prices and lower US bond yields. The DOW JONES was falling 1.50% (with the futures contract approaching overnight lows) and the NASDAQ 1.13%. Risk aversion boosted the demand for the yen. A consolidation below 107.00 could signal more correction ahead after a 3-day rally. Support levels might lie at 106.80, 106.35/40 and 105.95. On the upside, resistance might lie at 107.25 (20-hour moving average), 107.45/50 (weekly high) and 107.75/80.